400 FULLY STOCKED TRUCKS TO SERVE YOU! EXPERT HEATING AND AIR CONDITIONING SERVICE AT AFFORDABLE PRICES. Since 1983, the Florida heating and air conditioning experts at Del-Air Heating and Air Conditioning have been committed to providing our customers with the best service possible. 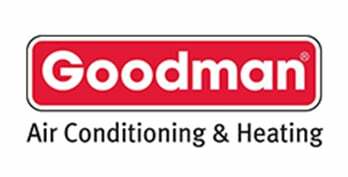 With 400 fully stocked trucks available to serve Florida homeowners, you are guaranteed a prompt response to your air conditioning or heating emergency. 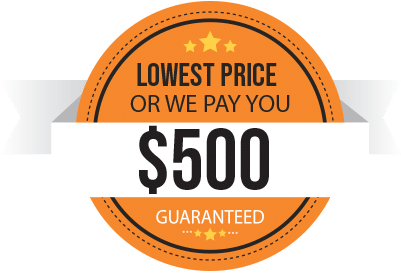 Del-Air Heating and Air Conditioning’s $500 best price guarantee gives homeowners the peace of mind they need when making an investment in a new home air conditioning system. Convenient financing plans are also available with approved credit so you don’t have to worry about a big upfront expense when you are purchasing a new air conditioner from Del-Air Heating and Air Conditioning. Well-trained, certified installers are critical for extending the life of your air conditioner. At Del-Air Heating and Air Conditioning, all of our technicians and installers go through extensive training and are both NATE (North American Technician Excellence) certified and EPA (Environmental Protection Agency) certified. Del-Air Heating and Air Conditioning can also service and install all major brands, providing customers with custom solutions for their unique cooling and heating needs. Del-Air Heating and Air Conditioning is employee-owned and -operated, and we take a great deal of pride in delivering the air conditioning services our customers need. When you need an air conditioning company in Florida and you invite us into your home, that’s an honor we take very seriously. As a 100% employee-owned company, every employee is an owner of the company and each has a vested interest in providing stellar customer service. Stellar customer service combined with the ability to provide a quick response and the best price guarantee make Del-Air Heating and Air Conditioning a go-to company for homeowners all over Florida! Whether you’re a commercial or residential customer, turn to us first if you’re looking for a new heating and AC unit in Florida. We never subcontract, and we offer a wide variety of air conditioning services, including maintenance, repair, installation and much more. There are a lot of heating & AC companies in the area, and we know you have a lot of options. But when you let us take care of your heating or cooling issue, we will do whatever it takes to make you a customer for life. At Del-Air Heating and Air Conditioning, we provide only the newest and most innovative air conditioning technology and brands. Our renowned AC service in Florida provides a vast selection of brand-name units for installation and maintenance. We stand by the brands we sell, and we are dedicated to keeping your unit running for years to come. +The Wells Fargo Home Projects credit card is issued by Wells Fargo Bank N.A., an Equal Housing Lender. Special terms apply to qualifying purchases charged with approved credit. The special terms APR will continue to apply until all qualifying purchases are paid in full. The monthly payment for this purchase will be the amount that will pay for the purchase in full in equal payments during the promotional (special terms) period. The APR for Purchases will apply to certain fees such as a late payment fee or if you use the card for other transactions. For new accounts, the APR for Purchases is 28.99%. If you are charged interest in any billing cycle, the minimum interest charge will be $1.00. This information is accurate as of 1/1/2019 and is subject to change. For current information, call us at 1-800-431-5921. Offer expires 05/15/2019. **See your independent Trane Dealer for complete program eligibility, dates, details and restrictions. Special financing offers OR rebates up to $1,000 valid on Qualifying Equipment only. Offers vary by equipment. All sales must be to homeowners in the United States. Void where prohibited. *Rebate saving range from $25 to $1650 depending on equipment purchased. With approved credit. Rebates subject to change. Call dealer for details. On qualifying Lennox® System systems only. Cannot be combined with any other offer. Call dealer for details. FREE AC REPLACEMENT CONSULTATION – The Lowest Price Guaranteed*, or we pay you $500! *Offer Details (Our Best Price Guarantee or $500): Our best price guarantee only applies to manufacture brands and models that Del-Air sells. Quotes must include all details related to installation, exact equipment including manufacturer and model. All equipment must be new, currently available makes and models. No discontinued or previous years’ equipment will be eligible. Competitor must be an authorized seller for the manufacturer. Available to eligible customers who purchase through 12/31/2019. Had a new AC installed 3 years ago and was impressed with the quality of their work. From sales to service, they are professional, knowledgeable, courteous, and timely. Just had Bill come do a routine service and he was awesome. I highly recommended them to everyone!